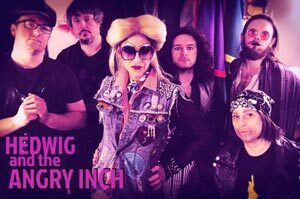 Matthew Alvin Brown, Renee Anderson and the cast of Hedwig and the Angry Inch. 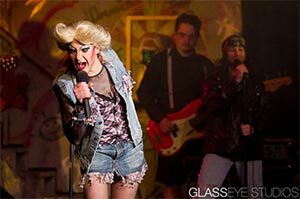 It’s a common theme amongst Hedwig and the Angry Inch die-hard fans. Affectionately known as “Hed-Heads”, we gather together at live performances of the show as often as we can. 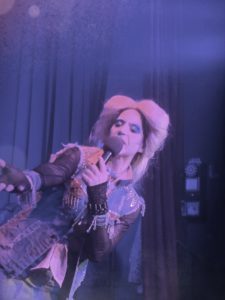 Scrunched together at the wobbly tables inside The Boom, we quiz each other on how many times we’ve seen Hedwig, when and where we first saw it, and what number we’re on for witnessing this cast. Counting myself amongst the most dedicated of Hed-Heads, this is a welcome conversation starter.